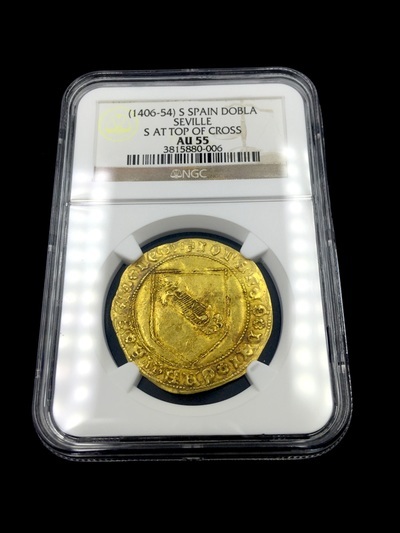 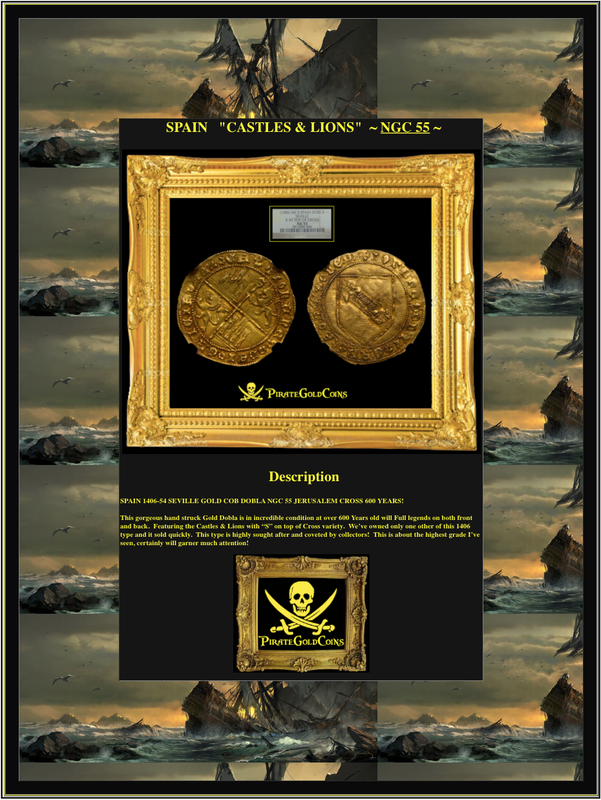 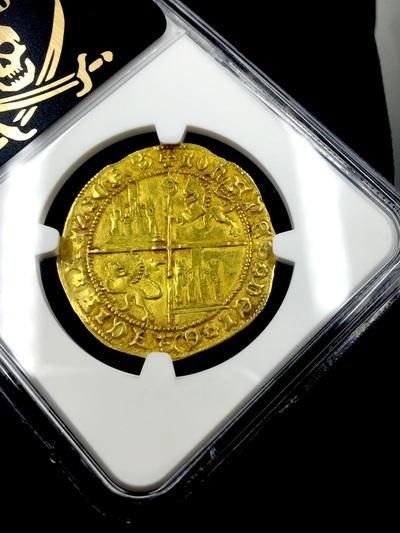 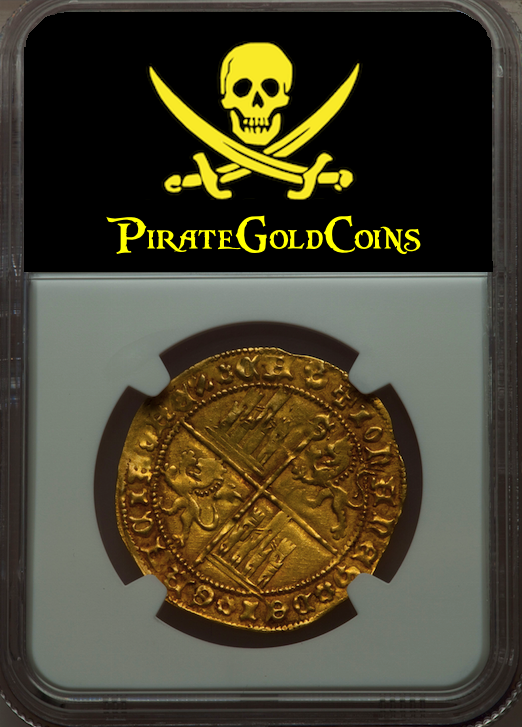 SPAIN 1406-54 SEVILLE GOLD COB DOBLA NGC 55 JERUSALEM CROSS 600 YEARS! This gorgeous hand struck Gold Dobla is in incredible condition at over 600 Years old will Full legends on both front and back. Featuring the Castles & Lions with “S” on top of Cross variety. 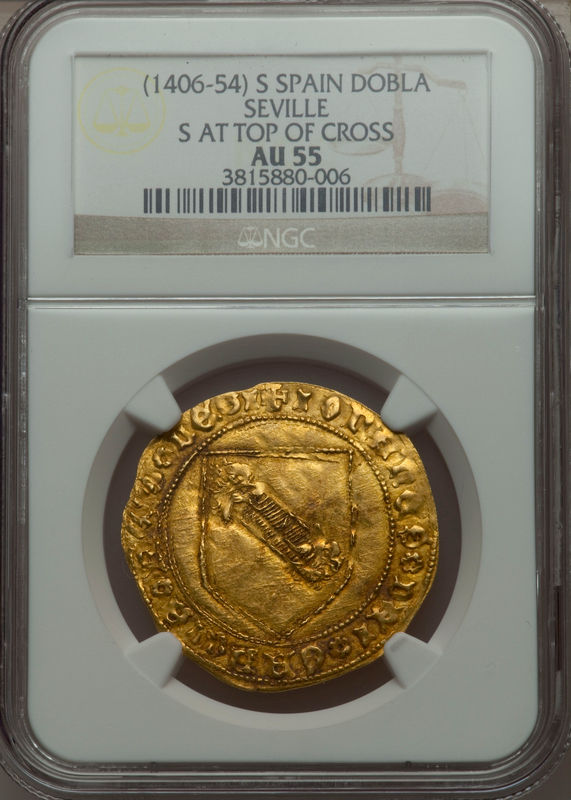 We’ve owned only one other of this 1406 type and it sold quickly. 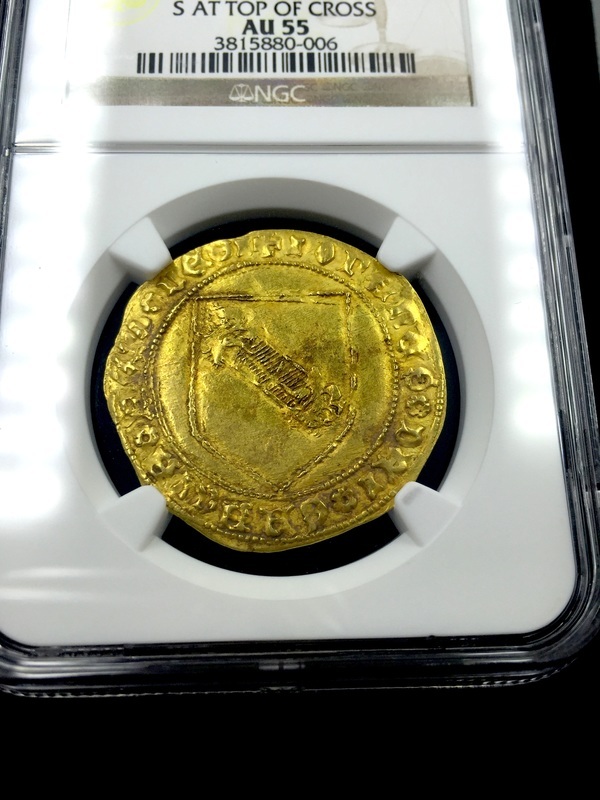 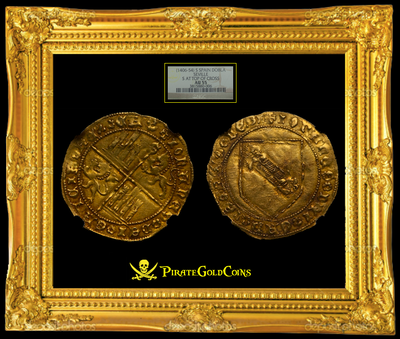 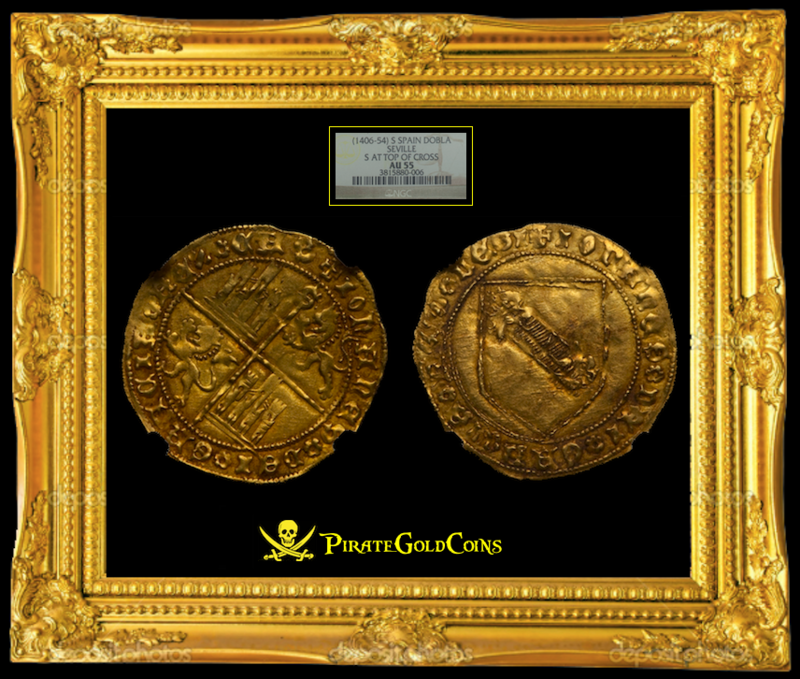 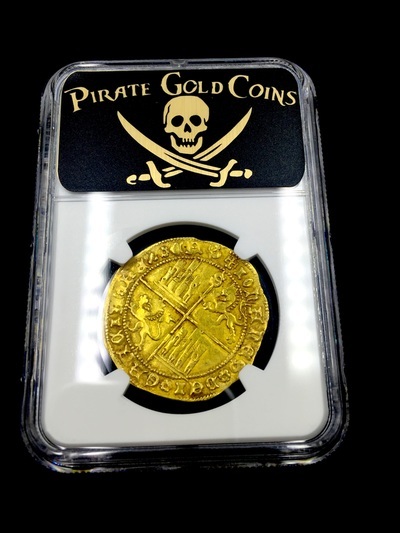 This type is highly sought after and coveted by collectors! This is about the highest grade I’ve seen, certainly will garner much attention!